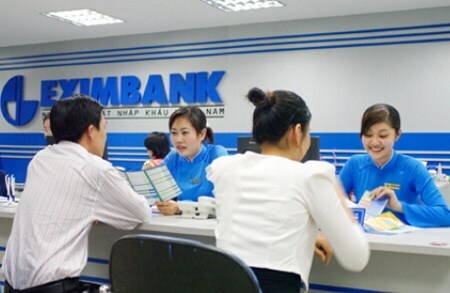 Hanoi (VNA) - Local commercial banks are offering diversified promotion programmes to attract depositors at first working days after Tet (Lunar New Year). Deputy Director of Sacombank Nguyen Minh Tam said that commercial banks often give lucky draw or lucky money programmes to attract depositors at the occasion. Tam said that his bank's deposits at the first working days after Tet increased significantly. ACB also estimated that transactions at the bank during the days also rose 1.5 times against normal days. Besides having to go to banks to make transactions after a long holiday, many customers also come to banks to deposit money to get the banks' ‘li xi' or lucky money. Though there were no official statistics on deposits on the first working days after Tet, the number of savings transactions at the banks have reportedly increased sharply at the occasion. On the first working days after Tet, tellers at Vietcombank had to work very hard as customers flock to the bank to get ‘li xi'. Vietcombank offered the li xi programme of 50,000 VND (2.3 USD) for all deposits and transfer transactions at the bank on the first two working days of February 15 and February 16. A representative of Vietcombank said that total budget for the li xi programme was roughly 3.5 billion VND (160,000 USD). VietinBank, BIDV, TPBank and Sacombank also offered lucky draw programmes to gift lucky money worth 20,000 VND, 50,000 VND and 100,000 VND to depositors. Though not too crowded as at Vietcombank, the number of customers coming to other banks has also been higher than the other days. Besides giving lucky money, many other banks also diversify its promotion programme to attract depositors at this occasion. OceanBank is offering one tenth of a gold tael for nine month deposits of 1 billion VND (45,600 USD). Besides, depositors of 10 million VND (456 USD) with terms of at least one month also have chance to get presents. Depositors of Eximbank also get a high rate between 5.4 percent and 6.9 percent for their savings during this occasion. Customers depositing at least 50 million VND (2,280 USD) at Sacombank also get an interest rate bonus of 0.2 percent.